This spy-camera website is selling the Boss VT-1 voice transformer (presumably for making threatening phone calls, or recording an audio ransom note? Such cynicism). Meanwhile, you can buy it from ZZOUNDS….for $339. And Musician’s Friend sells it for $319. noise toys now come pre-bent. Recently I was in the local Dollar Tree store, and came upon the toys below on a shelf. yes, they cost a dollar each. yes, they have TUNING knobs. Press a button and twist the knob for garbled craziness. btw, they have only one real button, the four buttons visible are all connected in parallel…..
sounds later…..as soon as I install wider range pots. 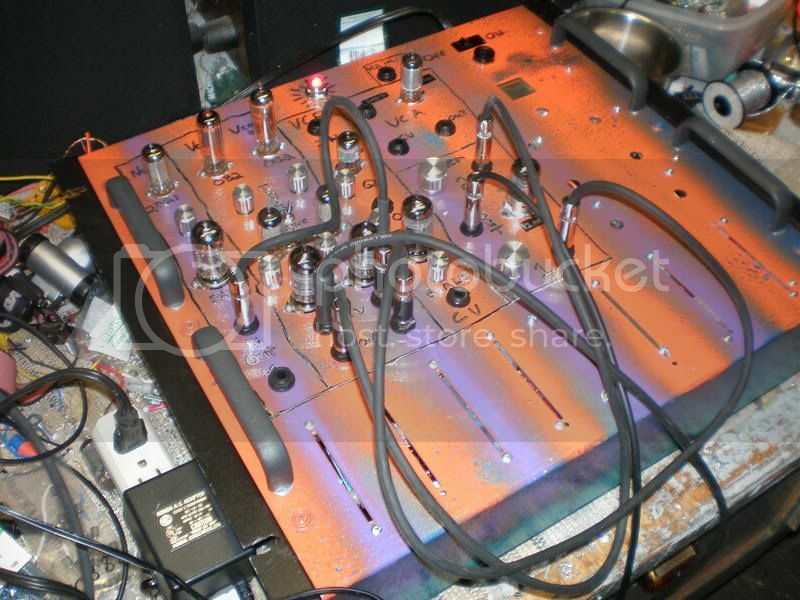 A synthesizer called “Moaning Lisa”…..San Francisco is such a happy place….. The enclosure is reclaimed medical surplus, a Sleep Apnea machine controller. I gutted (hanging on to the nice rotary switches) and built some cool circuits into it! Based on the Eric Barbour schematics from the cgs synth website. Now I just have to build a keyboard controller, though it mangles my guitar quite nicely. It contains a noise source, 2 VCO’s, 1 VCF, 1 VCA and a 2 channel mixer(from the old RCA tube book).